This article is about how to join a webinar from the web browser. Step 2. Click the registration link to complete your info. If it it not required to regitser, you can directly click on the link to join the webinar. Step 4. 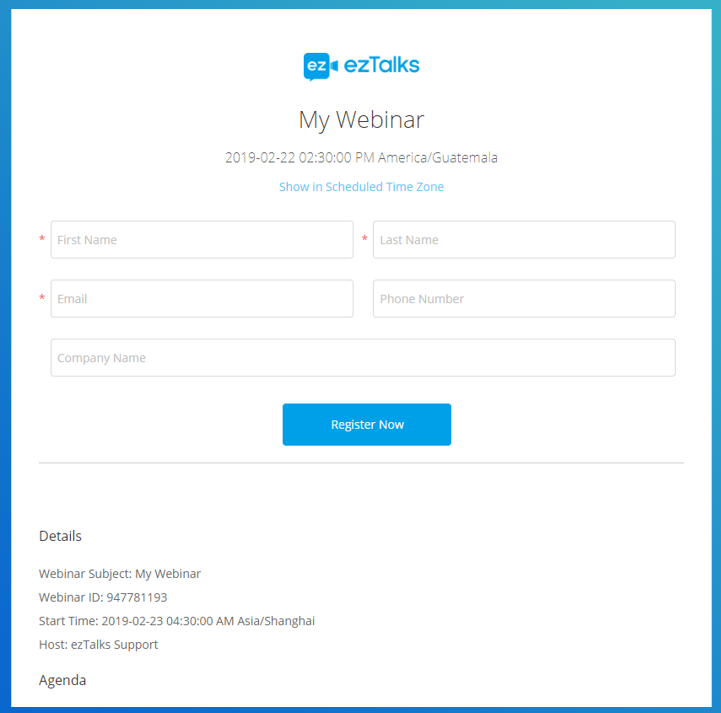 You can click the webinar link to join the webinar upon the scheduled time. 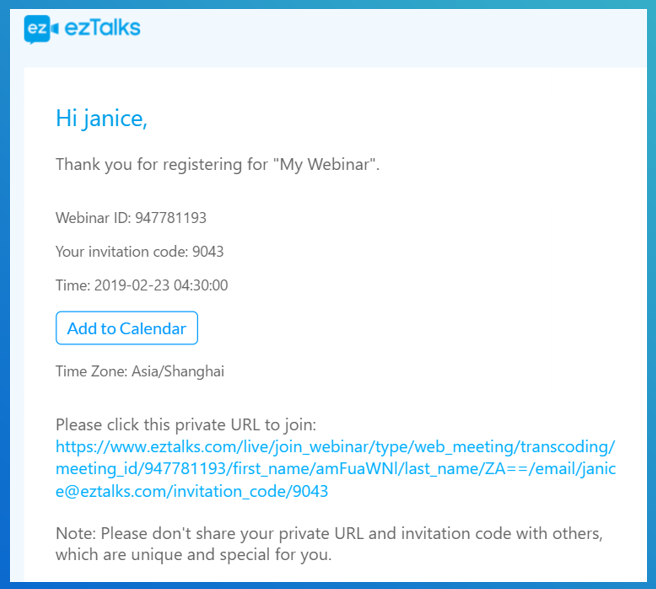 If you forget the webinar link or invitation code, you can register the webinar again or contact the host to resend you the joining details. As a participant, you can only view and text chat in a webinar. If you need to interact with video/audio, you can join as a panelist. 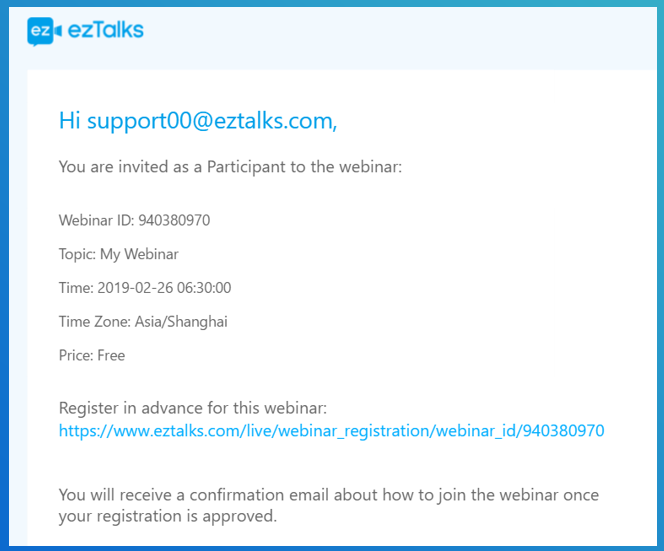 How to join a webinar from the ezTalks app? How does the panelist join a webinar?